Havana, ooh na-yass! Okay, so we’re not needing to bring you up to speed on the song. (You know the one.) Camila Cabello’s 2018 smash has been the song to our commuting lives this year. It’s made us pray for more annual leave, so we can smash mojitos on a beach somewhere and dance in the street like they obviously do in Cuba. 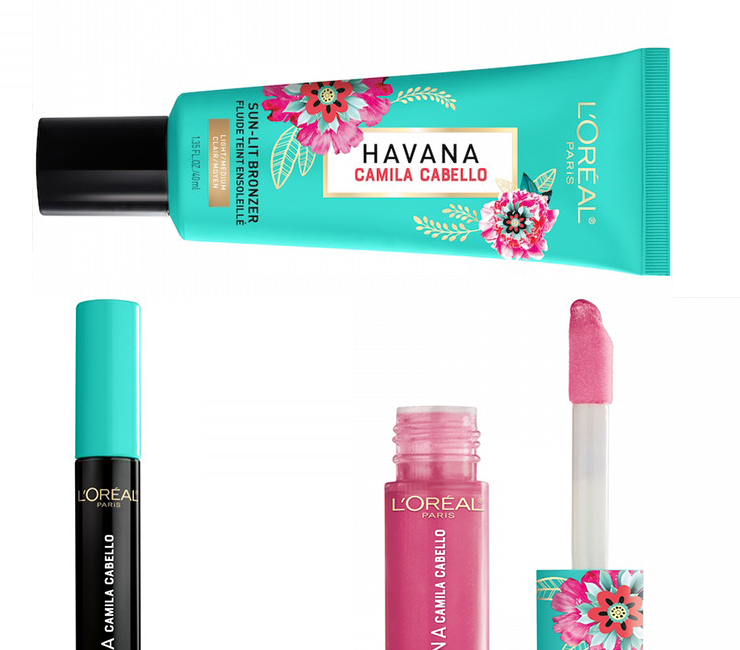 After signing on as a global spokesperson for the beauty giant in 2017, Cabello has been quietly collaborating with beauty giants L’Oréal Paris on a 14-piece makeup collection—and it’s exuding bulk summer vibes. Featuring dazzling liquid bronzers, shimmering eyeshadows, brow gels, juicy lip glosses, and a foxy looking eyeliner pen that even a liner novice could wrangle, the colour palette is feeling itself with bursts of golden bronze and rosy gold hues, turquoise jewel tones and rich browns. Sultry, much? Maybe don't put your Cuba holiday plans on hiatus just yet, but do stock up. Because who doesn't love a rose gold lip?